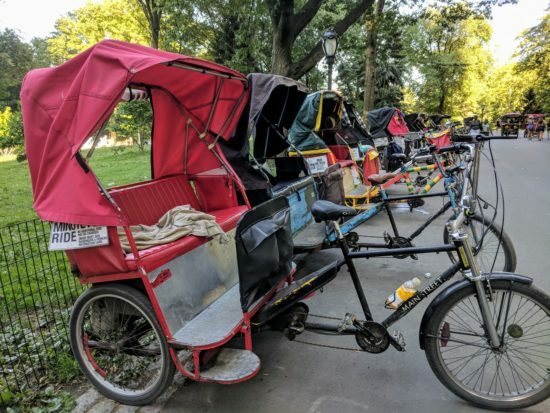 Pedicabs at the ready in Central Park. I believe we logged a total of nine miles of walking on Day 3 in the Big Apple. Our day started out with a walk from the Library Hotel to our next lovely accommodations, The Hotel Elysee. 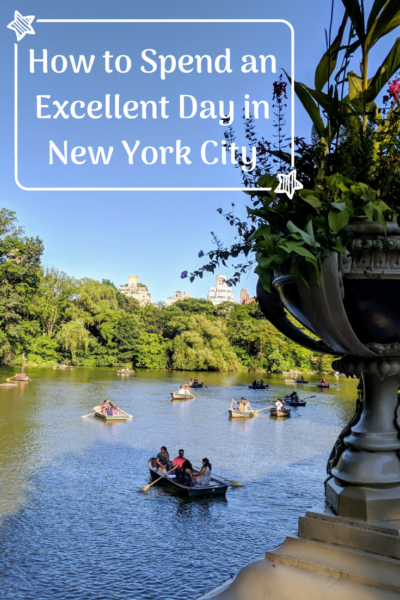 Once checked in and settled, we headed out for a day of exploration, visiting a few of our favorite places including, Central Park, the Metropolitan Museum of Art, the Guggenheim (a new experience) and lunch at Jacob’s Pickles. 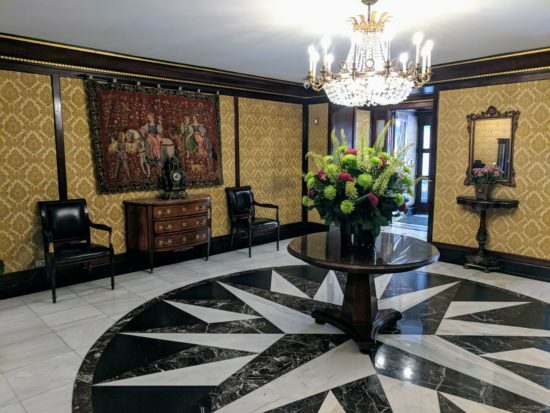 And, of course the day was capped off with a lovely stay in the warmth and charm of the Hotel Elysee. It’s fantastic, Central Park. I mean, think about it. The park encompasses 843 acres right smack in the middle of a city with a population of eight million people. It’s a huge park! And, it’s lovely! Central Park has everything one could want in a park. 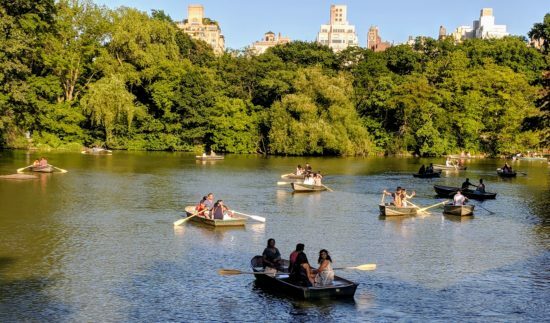 And, with such glorious weather we were not surprised to see so many New Yorkers out and about taking in the joy of the day, finding shaded space on the grass, or basking in the bright sunshine while reading, napping, and/or picnicking. Children playing on the playground or giggling at the antics of the animals in the zoo was fun to see, but probably not as much fun as the children were having. 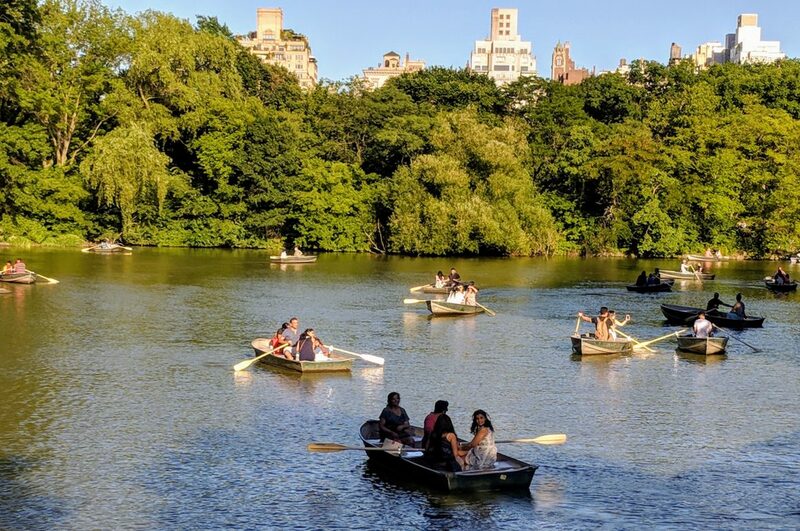 Sweethearts and families alike rowing on the lake in Central Park. 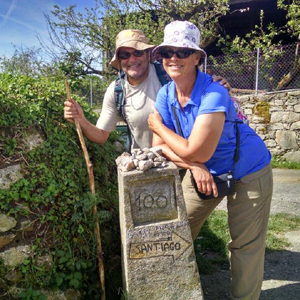 We took our time as we ambled along the trails trying to take in all of the sites. There were Flamenco dancers moving with artistry and sweethearts rowing boats across the pond. Pedicabs by the dozens peddled along with the guides pointing out the sites to their passengers, and of course the classic horse drawn carriages of Central Park. Both the pedicabs and the horse drawn carriages are quite pricey. Luckily, for our wallets, we always prefer to walk. That, and I have this thing about not riding in horse drawn carriages. 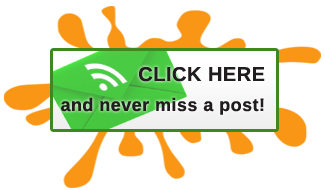 We ambled back and forth and sideways all day long as we navigated in and out of the park to make our way to The Metropolitan Museum of Art and to the Guggenheim Museum, as well as over to Amsterdam Ave to have lunch at Jacob’s Pickles. This is in no way a paid plug for Jacob’s, we just really like the food. Not only do they make their own pickled veggies, the fried chicken and biscuits is to die for. Or, brunch on Sunday is amazing, we’ve done that too. Bring your appetite because the portions are more than ample. But, that’s what take out is for, right? It is not a quiet cozy place, just sayin, but it’s oh so good. Homemade pickled veggies at Jacob’s Pickles. Yum! Being a huge fan of Versailles, I was beyond happy to discover there was an exhibition at The Met – Visitors to Versailles. 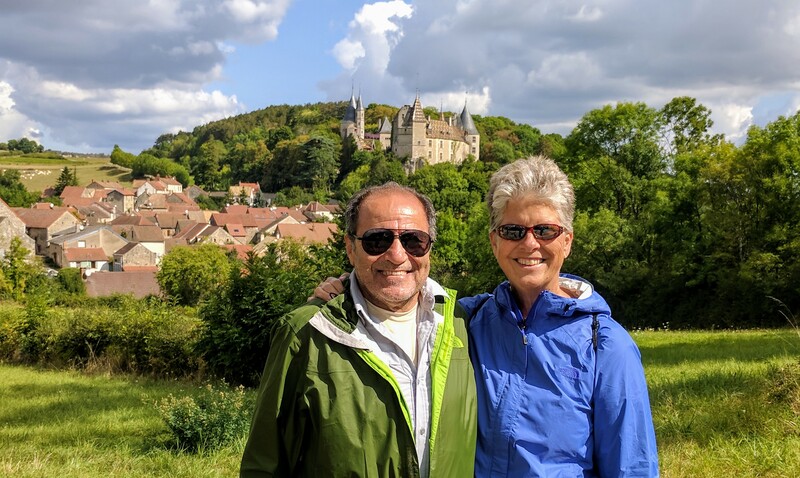 One of my most cherished travel memories is of our day spent at Versailles. We visited the Palace in January so it was freezing cold, but the sky was clear and the sun was shining. Versailles is definitely best experienced in the off season, no crowds. 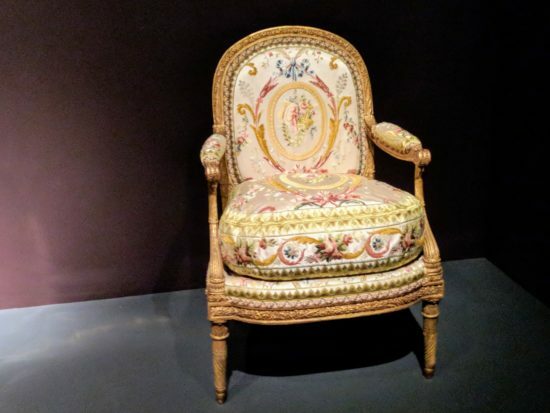 During the sale of the royal family furniture at Versailles in 1793 – 1794 this chair was purchased by Minister Governor Morris who shipped it to his estate in what is now known as The Bronx, New York. The chair was recently reupholstered with a reproduction of the original material. Let all of that soak in for a minute. Man, I love history! The exhibition was all kinds of fabulous and the audio tour was excellent. Want to know how excellent? As I was walking along through the exhibition and listening to the voices and sounds of Versailles (in stereo headphones) I heard someone talking over my right shoulder and it startled me. I had to laugh at myself because what I heard was the voice whispering to me as part of the audio tour. Yep, it was that clear. I consider us very fortunate to have visited Versailles and would do so again in a heartbeat. Don’t ever miss an opportunity to visit the palace. But I digress. The Versailles exhibit was, as I said, all kinds of fabulous. Our first visit to the nearby Guggenheim Museum however, was… shall we say, interesting? Actually, it was. Any time art can generate a conversation or a puzzling expression, or a giggle, or a moment of awe, I figure it’s a win. If I remember correctly, at the Guggenheim there are two permanent collections and several other rotating collections. 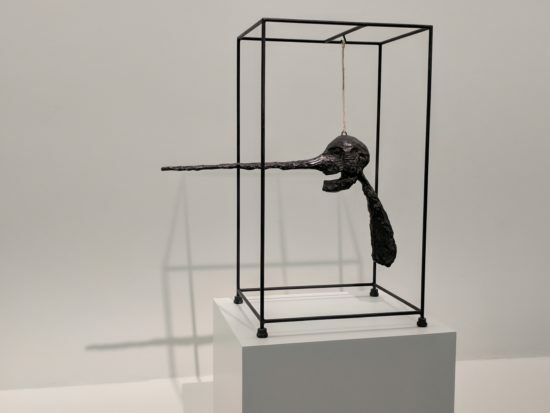 On the day of our visit the visiting exhibition was the work of the artist, Alberto Giacometti (1901 – 1966). He studied and sculpted the human form for 40+ years. There were 175 pieces of his work on display and while I cannot say I understood most of it, it was interesting, and it definitely sparked conversation. Inside the Guggenheim Museum, which is an artistic showplace on its own. By the time we had worn ourselves out, and were ready for happy hour, we declared Day 3 to be a winner. A good long walk through a beautiful park, an excellent exhibition at The Met, an interesting visit to the Guggenheim and a ridiculously yummy lunch, it all made for a grand day. And, boy were we ready to sit back and relax, which is exactly what we did. 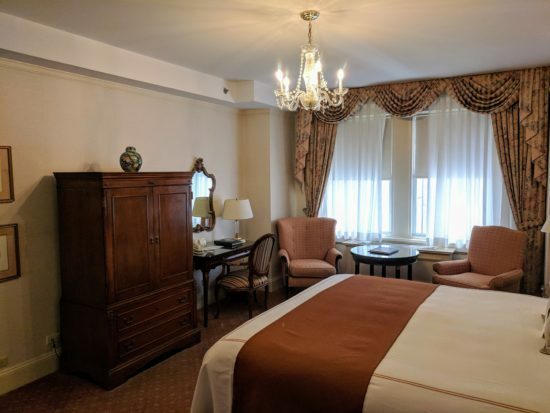 What we loved about the Hotel Elysee was the feeling of warmth and charm with a little dash of Parisian flair. From the moment we walked in we felt welcome. The reception area is unique and bold and vibrant, but yet subtle in its grandness. Welcome to the Hotel Elysee! We didn’t even make it out to dinner that evening, we were so full from our late lunch, happy hour was just what we needed. Mimosas for me and white wine for Abi, a plate of wonderful nibbles including cheese, crackers, olives, nuts, etc., and a comfortable sofa in the Club Room with a window view overlooking the street scene below. We were happy. And, when you’re happy, why move? 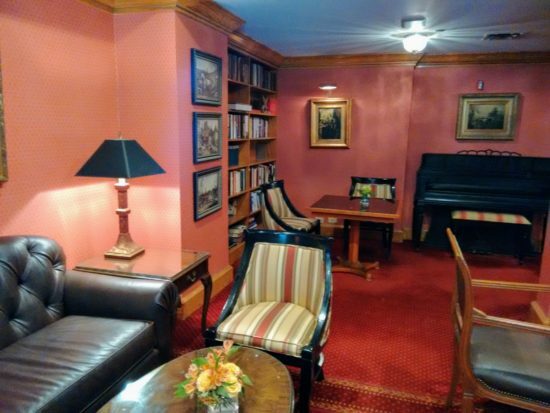 A comfortable sitting area in the Club Room. Our room was spacious and comfortable and appointed with every amenity one could possibly need, including bottled water, soaps, shampoos and lotions, plush robes and slippers, and of course delicious chocolate bites with turn down service. Seriously, what more could one ask for in accommodations? It was sweet dreams for us as we fell asleep whispering about what adventures the next day would bring. Our lovely and comfortable room made for sweet dreams. The Hotel Elysee is part of the Library Hotel Collection and we were guests in their writer’s in residence program. Our visits to The Met and The Guggenheim were sponsored by CityPASS. Central Park is such a wonderful place to relax, people watch, have fun, get exercise. Something so special about being there. I have not been in NY in ages so it was great to revisit with you. 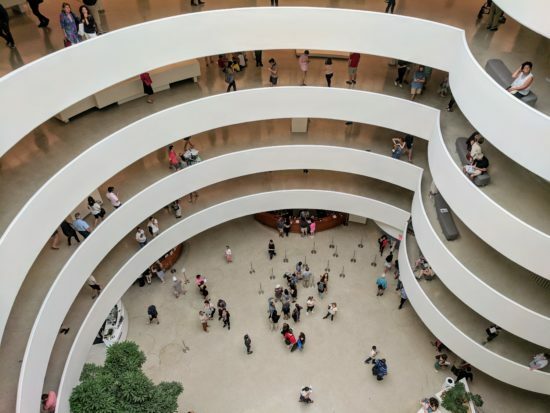 The Guggenheim is one of my favorite museums in the world… Someone told me the trick of taking the elevator to the top and walking down instead of up! Snazzy lodging there. Lucky you guys!! We actually thought of that too, Peta, riding up in the elevator and then making our way down. However, it was a thought too late. 🙂 It’s a very interesting museum and we’d gladly return to experience another collection. Absolutely, Gilda! We’ve never felt anything but comfortable and safe while in the park. With that being said though, there are parts of the park trail that go off in to secluded areas that I wouldn’t go to late at night, but that’s just common sense to be taken anywhere. We love NYC! Lissette’s home city, unfortunately we’ve never really explored the city except for a 24 hour stay about 10 years back. She’s the first to remark that things have changed a lot in NY. One day we’ll be back…maybe when he who shall not be named is gone. BTW: I can thank Trump for Trump Tower. Had to go to the bathroom real bad on that last trip to NY and toilets in Trump Tower were open. I’ll always be proud that I got to take a #2 in Trump’s building. That’s hilarious, Frank. You can’t get anywhere near Trump Tower these days, the security is over-the-top. We’ve seen it a couple of times just passing by. Have no interest in the building. And, let’s hope it doesn’t last too much longer as I don’t appreciate my tax dollars paying for that security. Even though I’m not a city gal I want to visit Central Park someday. After all, it was designed by my ancestor. And so many museums. I’ll need a guide to find my way around. Well that’s an interesting tidbit, I’m curious about your ancestor and the connection to Central Park. I love your opening photo, Patti. Like millions of others, I’ve never been to Central Park on my visits to New York City but I feel like I know it through books, magazines and photos. Lovely! P.S. I get the ‘thing’ about riding in a horse-drawn carriage. Once we took a romantic carriage ride in Granada, Nicaragua and I wanted to get out and help the poor horse! Yep. I just can’t get in to one of those horse-drawn carriages. I hate seeing them just standing in the hot sun on the asphalt payment. They weren’t meant to pull me around in a carriage. And, the prices charged!